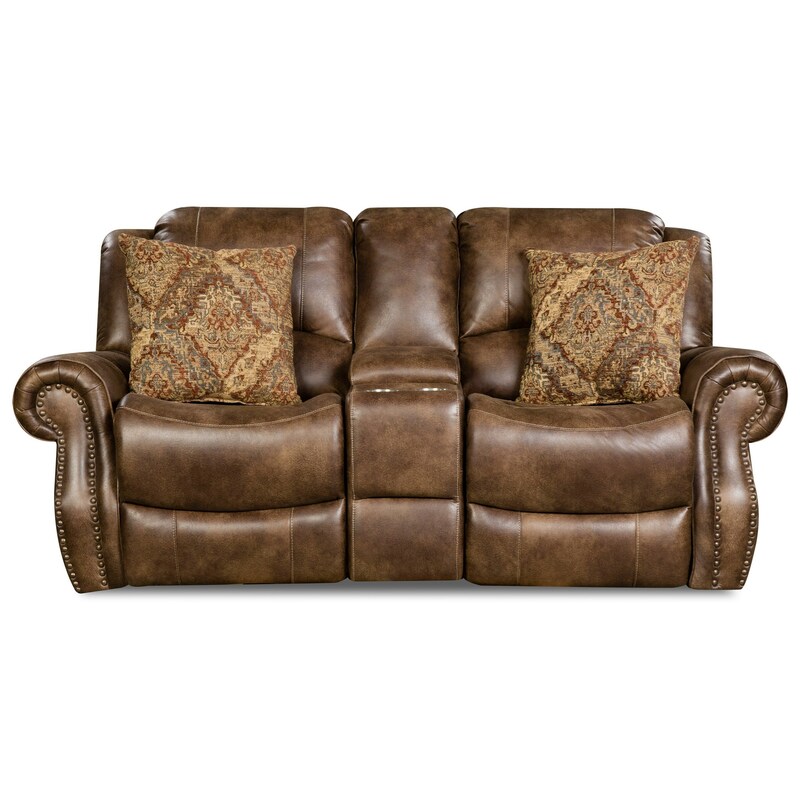 This reclining loveseat features an affordable price point and a traditional style. Details include the storage console with built-in cup-holders. This item is available in standard recline and power recline option. The 69901 Recline Console Loveseat by Corinthian at Miskelly Furniture in the Jackson, Pearl, Madison, Ridgeland, Flowood Mississippi area. Product availability may vary. Contact us for the most current availability on this product.